Cornell students, faculty and staff can now check out books and other materials on-site at Ithaca College, thanks to a new borrowing agreement between the two institutions. 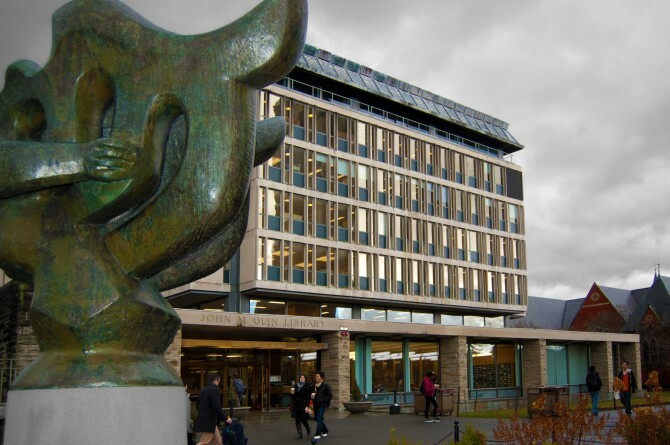 Cornellians planning to visit Ithaca College must first apply for free library cards. Ithaca College materials can still be requested through Interlibrary Loan, and delivered to any campus library. The agreement allows Cornellians to go to directly to the Ithaca College Library if they need to access materials immediately. Ithaca College students, faculty and staff may also now apply for free library cards to borrow materials from Cornell University Library. The cards will be valid for a year and will allow patrons to use materials at Cornell libraries and to borrow any circulating books and DVDs.